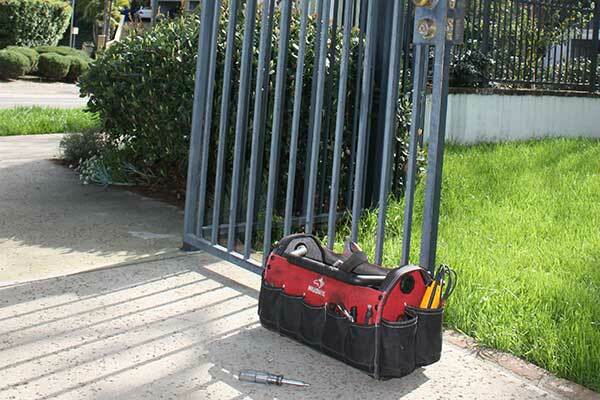 Gate Repair Services You Can Count On In Glendale, CA! If your gate is out of order, don’t worry - our team is ready to help. We provide service appointments on every day of the week, as well as emergency repair services, so if your gate hinges are weak or your opener is malfunctioning, we can solve the problem. We have more than a decade of experience in helping our local customers keep their automatic entry systems operating day in and day out, so no matter what type of problem you’re experiencing, our technicians can get it fixed for you. All the different parts that comprise your driveway gate can suffer from wear and tear, and after a certain point they’ll all need to be replaced. Problems with one part are likely to cause knock-on issues with another, which is why it is always recommended to get malfunctions fixed as quickly as possible. Our replacement services also cover the gate opener and the intercom system, and we can supply and install units from all the major brands, All-O-Matic, Eagle and Ramset. If there's a need to replace a panel or anything from the wheels to the posts, we can help you with that as well. A bent or cracked hinge is a big problem. If this crucial component fails entirely it can put your swing gate out of operation completely. If the hinges have even small cracks, their stability and structure can become compromised quickly, which is why urgency is required when faced with such issues. Our technicians will provide safe welding repair services to restore the damage and to bring your gate back into working condition once again. Without a working intercom, your gate isn’t a lot of use - you can’t communicate with visitors and can't verify who's waiting on the other side of your gate without going to see for yourself. The phone entry system that many security gates use is a crucial component that unfortunately can suffer from a variety of malfunctions, including trouble with the wiring. Our technicians will track down and fix the root cause of the problem, and then ensure that the system is fully functional once more. 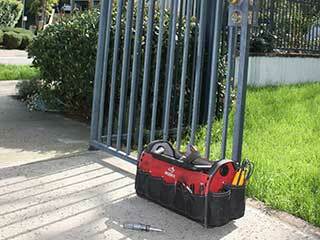 Our team maintains a same-day service policy for urgent automatic gate issues. Don’t hesitate to get in touch with Gate Repair Glendale today to receive the quality service you need when you need it.